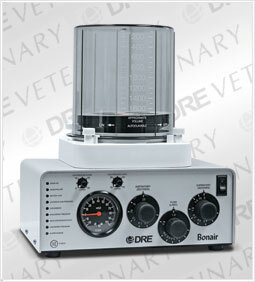 The Bonair is an electronic time-cycled ventilator with integrated patient alarms for improved safety. Has adjustable inspiratory time, expiratory time and flow rate. 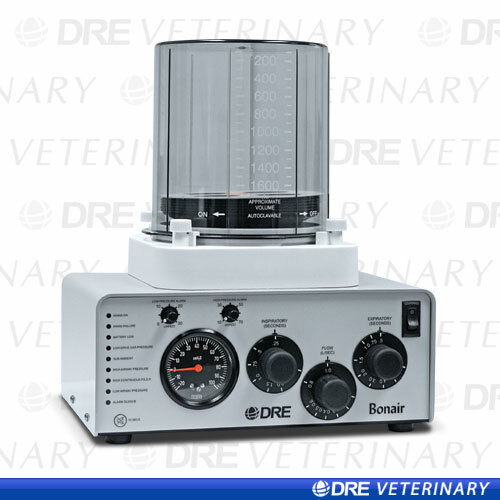 Can be used on smaller animals by adjusting the unit to the small animal bellows. Ability to be placed on any flat surface or mounted on a dovetail bracket. 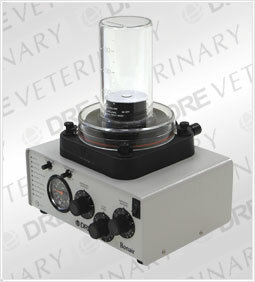 This unit is used at many of the popular Veterinary Wet Lab Shows. Unit has option of small or large animal bellows.